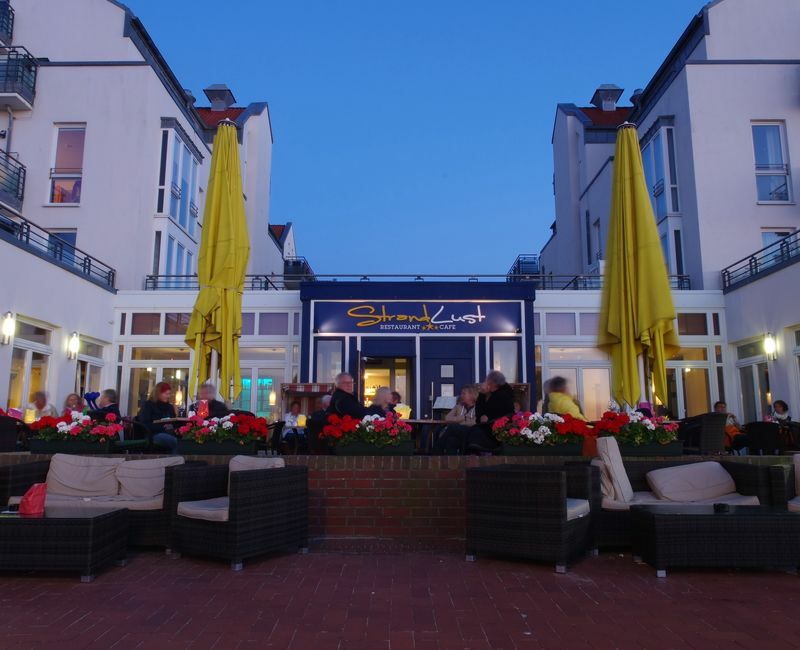 and the cocktail bar and family restaurant Giftbude on Wangerooge. 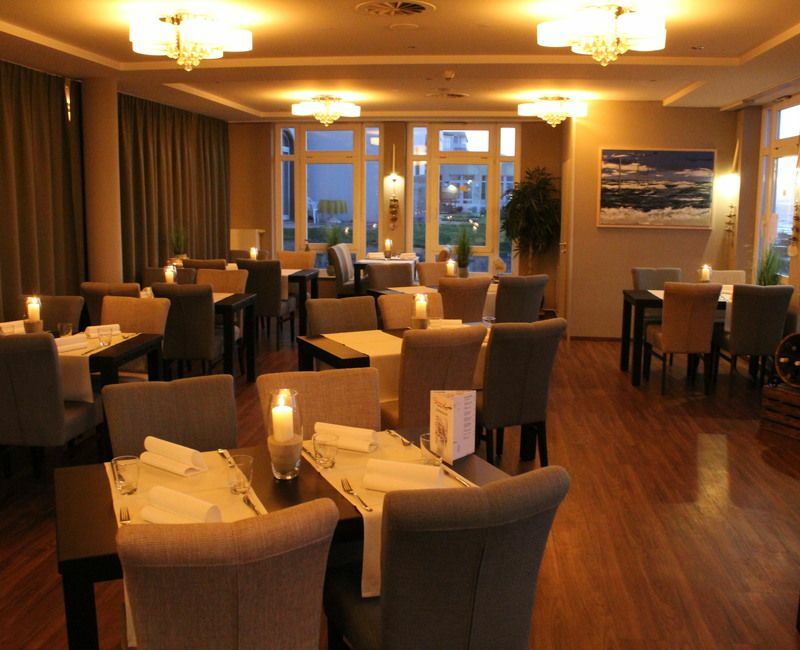 We offer you, in addition to a fantastic view of the beach and the North Sea, culinary delights for body and soul. We offer a regional cuisine with international influences that make our kitchen team of many selected ingredients a pleasure. You will love the love for fresh products and the play with the flavors. The gift shop offers a variety of high-quality cocktails and a wide selection of beers. We also offer our popular burgers and tarte flambée here. Now also new is the big screen on which we show football. You want to celebrate parties? No problem for us, wedding or birthday. We have a hall for up to 100 people. After the cozy part, you can switch to our gift shop and start the party. What does StrandLust actually mean? The sea has a magical appeal to children and adults. That is why the holidays by the sea are so popular (formerly called the "summer resort"). Ride and ride on the mud hem, picking up shells, looking for amber, building castles or sitting in the German invention "beach chair". All this and much more is "StrandLust". In addition to the fascination of water, it is the infinite breadth of the horizon. And not only when bathing in the cool water, the water unfolds its healing power. Just the sight and the sound of the waves relaxes the mind, the thoughts begin to flow. The worries of everyday life fade. You can experience all this with us, so go on a journey with us. 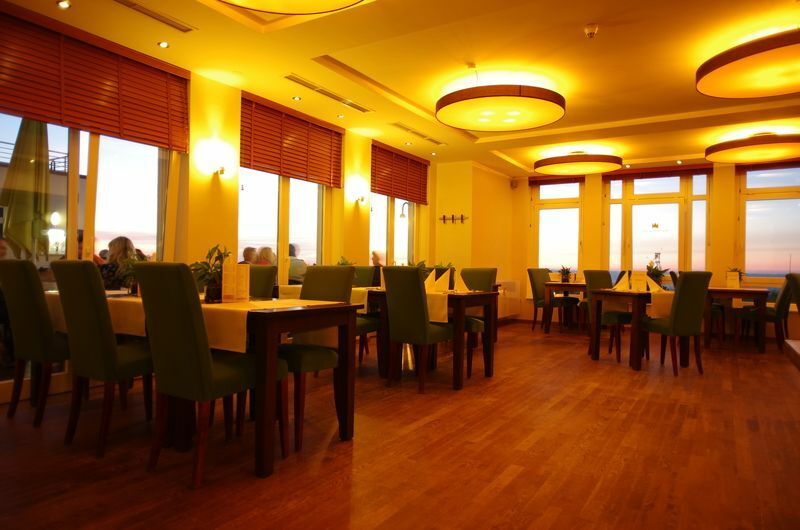 Our restaurant with fantastic views of the water and in the distance. Whether in the house or on our large terrace here you can relax and enjoy the sunset. At lunchtime we offer a menu for the not so big hunger. 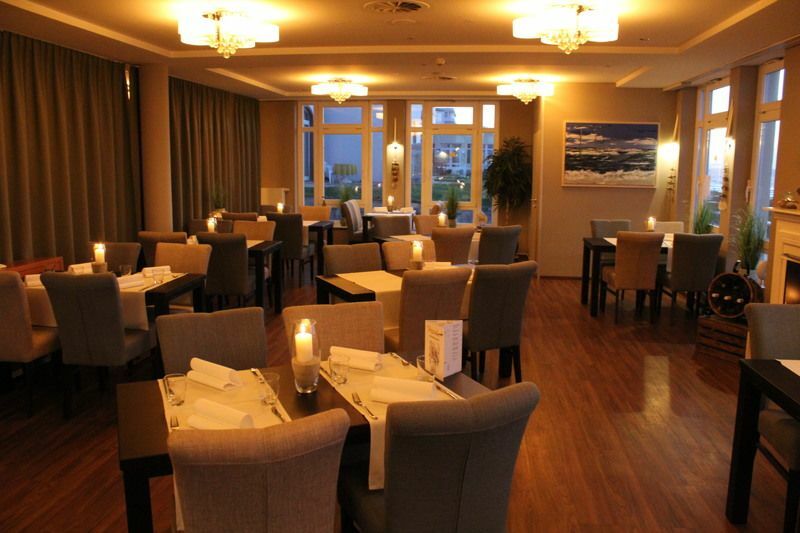 In the evening we have our evening menu and our special recommendations with seasonal food. Our "Newly Renovated" Fireplace Room is the perfect space for your wedding and other events of all kinds. 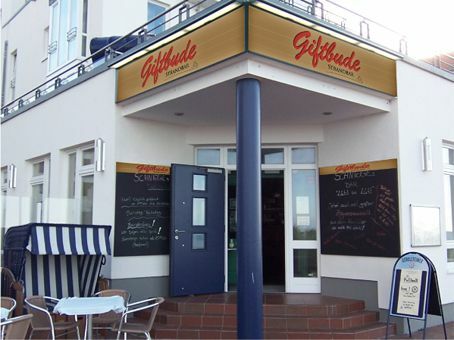 The Giftbude is our cocktail bar and our restaurant for the family. 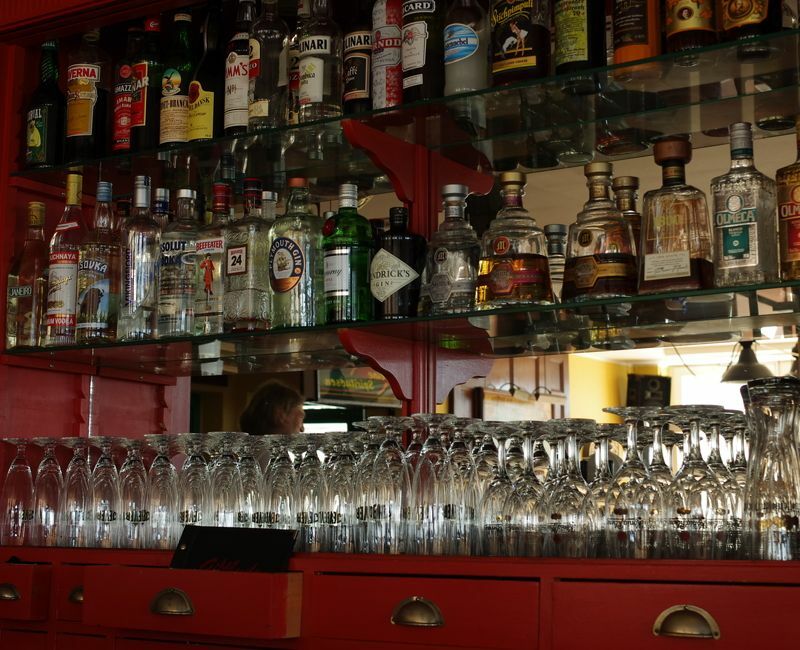 Here we offer cocktails from Wangerooge which were created by us up to the classics from all over the world. For dinner we have our popular burgers but also schnitzel, chicken wings and spare ribs. At the sauce buffet you can discover new flavors. And at the sales window we have everything for the hunger home or at hand.